Stevie Ray Vaughan would have dug your surfing Espo. Story and photos by Pat Flanagan. Playfull Espo at the Bay of Plenty with Ray Robertson looking on. Like Frankie (Oberholzer) you do things that everyone else is making a big deal about, with such consummate ease and dexterity that it’s almost laughable. I know, because you and I started surfing at the same time at the same beach – Addington. Within a year you where already as good as anyone. Remember the yellow nose rider with the black and white painted Slipcheck nose that you used to ride at the Wedge? Remember the Wedge, that famous break that you owned completely but is no more? Those of us fortunate enough to have been there, remember it vividly. Ten second nose rides doing things that would make David Nuuhiwa re-examine his reportre. Pure rock-n-roll. Roll it forward ten or twelve years – past your beyond Lynch like ability to jam a little rounded pin tails into ‘figure eights’ all over a wave face – and into the ‘busting down the doors’ era. Those mega sessions at Cave Rock and the Spot revealed backhand speed and power on some big faces that had your peers holding their collective breath. The locals at the Banzai Pipeline must have been blown away by your original and authentic moves. Had you been born 25 years later, I have no doubt that you would have the surfing world at your feet. Even the most cynical and jaded corporate surf mogul would have poured buckets full of dollars into your back pocket. Madina Smadina. But you are of a less affected time and space. You never claimed, never needed to. Even so, you’ve had a massive influence on a generation of South African goofy footers such as Paul Naude, Kevin Todd, your brother in arms Jeff Saunders and later Burn, Glen Milne and Tommy Lawson. I’ve spent days watching you and enjoyed every minute. You’ve never said too much, avoided the intense surf politics of the time, never hunted out the media, dodged the pseudo hippy culture in the late 60’s and always did the business in such a solid way. Step up Espo, stand alongside ST, Gavin, Ant, Jordie, Travis, Frankie and Pottz. Mike Esposito lives in Sydney Australia. Published in African Surfrider Magazine in 2008 with a few updates. Great to read you hear you mention Espo and the South beach boys. You were always one of the most solid Beach Girls! Some of the Best times of my life. I count as my brother, this legend with a heart bigger than his body. 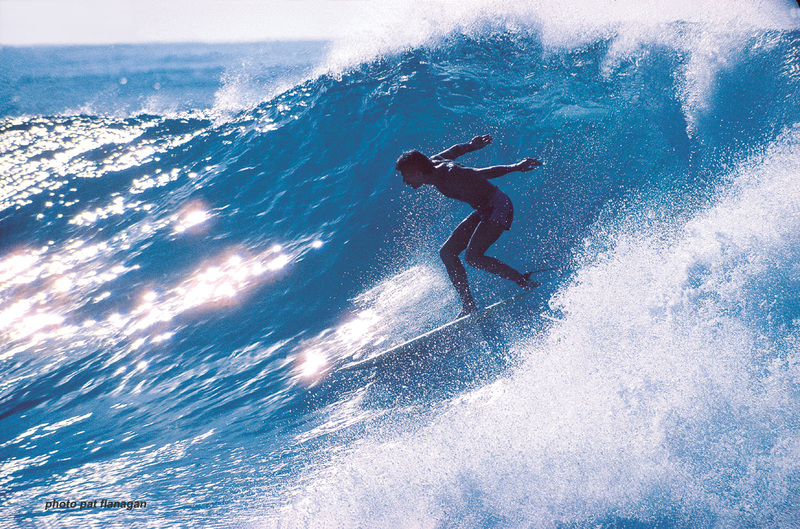 Gave me my first board, a BIG blue Kenben, when I started surfing in that famous “Summer of ’69” at Pumphouse. The whole gang then moved to Wedge in the early 70’s. His Storm Surf escapades cemented in our memories. However besides that it always over the years,interested me in when the Wedge became this “item” to most other people and I say other people because before it was an “item ” Tony Cerff surfed it regularlyfor about a year on his own, then followed by myself,Errol(rip)Ginz,Rob McW,Maxie,PD,Dickie Fraser,Bobby whatsaname ,and the mal policeman Mark Ormsby and my apologies to the other old bastards I forgot ,but the best part is that Espo, Jeff Sanders,Winky,Dinky and Flash Whoever were ALL the lighties and the two best were Espo and wait for it Jeff Sanders with his loud voice nog al. It had been established crews beach,. for quite sometime before the youngsterts elbowed their way in ,but surfing was a soul thing in those days unlike to day so a bit of elbowing if you could surf then no one really cared about your elbow as long as it was’nt in someone elses eye as you tried to drop in. so I just wanted to place that chirp on your site for what it’s worth . So there you go Espo made an impact more than anyone else so the dateline for the wedge and what and who happened there are based around Espo who by the way wrote my car off near Heidelberg back in ’72 when I gave him a lift back to Valhalla Airforce Base ,so let this be a lesson to all do’t let Espo drive your car ‘cos you won’t get back home with it in one piece ok! I hope I haven’t upset anyone and if I have boohoo Espo knows me better tyhan that and so does my parents. Well said Mr Platter (Hi John) I tend to remember pulling in to the “Wedge” with the late Tickbird and McW for the first time(1970)then recall the day the pier got smashed by C for serious storm surf. I jumped off the end of the old observation platform with 3 others, no leashes in those days. I tend to remember that Espo and I think Jeff and a certain McDonald helped make up the 4? By the end of the day the pier was no more and I had 2 damaged boards. Great memories of (the possie)suntanning on the grass banks above the Wedge and Kontiki in between surf sessions. 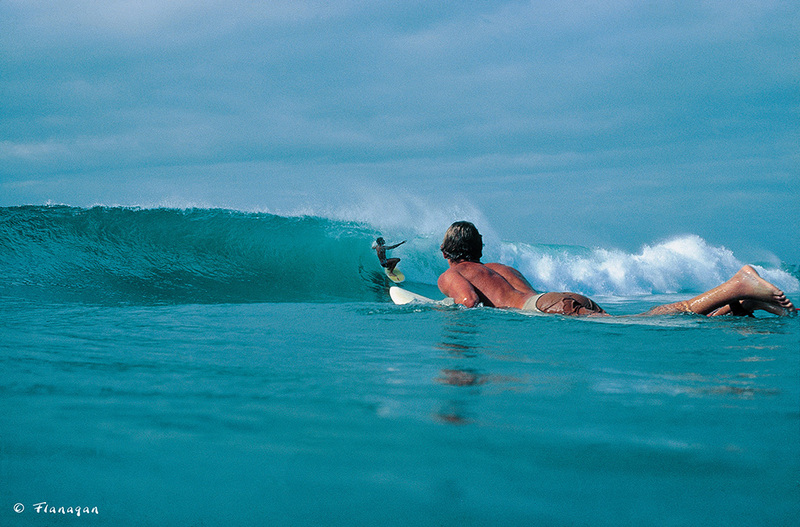 All those years ago, such memories of the Wedge and us having waves and days that were unforgettable. Espo was in those day the King of the Wedge and one would say and I remember like it was yesterday when we were training every morning for the Gunston in those days, Mike Espo would arrive at my place around 4am, wake me up, I would go make coffee and rusks for us and in going back to my room only to find Mike asleep in bed and this was the norm during the 4 weeks leading up to the Gunston. I would kick his arse out of my bed, drink our coffee, and head to the beach before sun up to paddle, surf, swim and get a little fitter before the contest. Mike was one of the most inspiring surfers I have had the pleasure of surfing with and being a friend of for many years and still today on occasion we will chat via Skype about our lives etc. Espo was my secret crush for the longest time – 40 years ago!! Espo and the wedge, what memories. 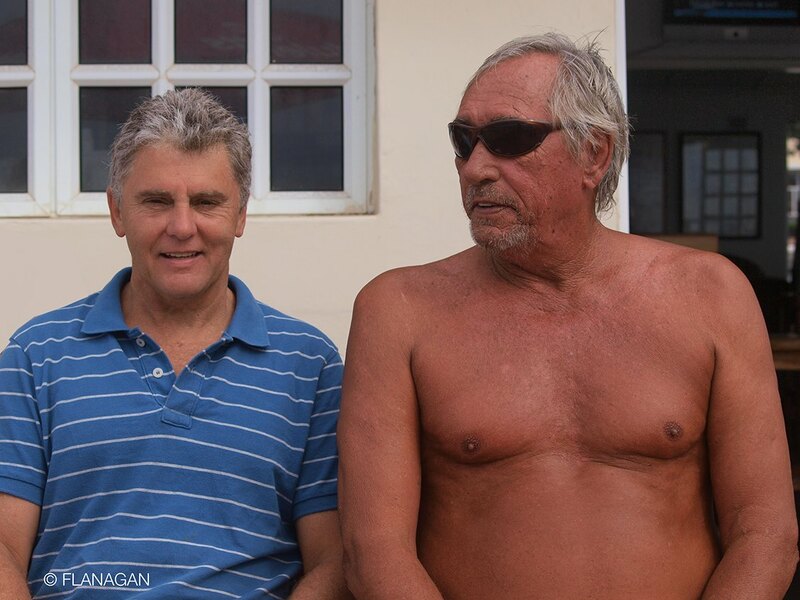 Rudi and myself used to bodysurf that left and Espo championed our cause and right to do so. A beautiful soul who always brings a smile to your face. love you Brother. I remember Dave Hobbler paddling up to me one day and punching me straight in the face for dropping in on him. Juslike, no one pissed him off if you valued your life! Mikey not only were you a bloody good surfer, but a great brother in law too. Sorry about losing contact for so many years. I think every single one of us Durban goofyfooter’s tried to emulate Espo, and besides the pro’s mentioned above, guys like Lloyd Gray(RIP), Mikey Warren(RIP), and Keith McKenzie showed that in their style, but to have the balance, the unbelievable balance, that Espo had, was something no one else had! I remember his classic take offs on big days where he would only stand up halfway down the face of the wave, why I’ll never know, but it was something I’ll never forget as a surfer! Legend alright! !